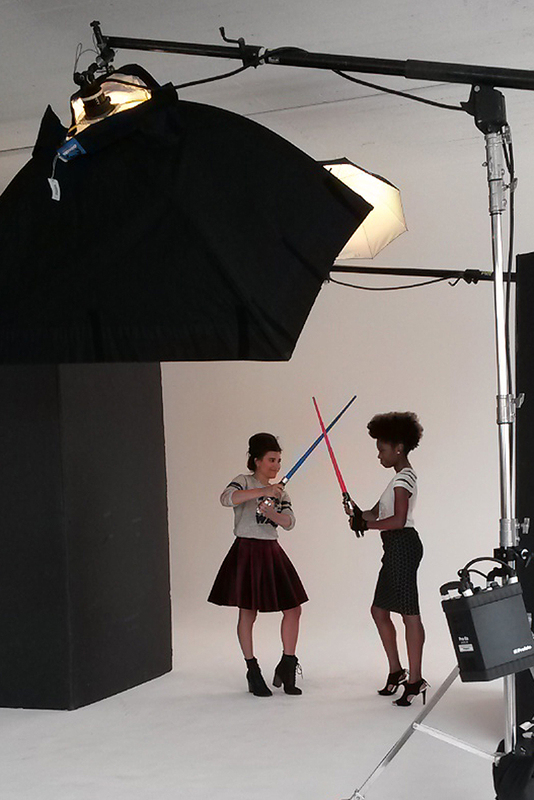 As promised here's a quick behind the scenes look at my Star Wars photoshoot with Kohl's! I had such a fun day with Megan, Amiyrah and Lillian! I wish I took some more photos of the three of us having fun backstage, but we were a little too excited! Megan was kind enough to send over a bunch of her photos so I am sharing some of them as well. 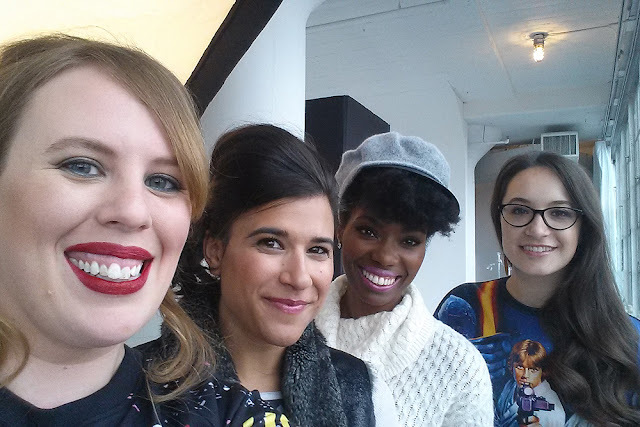 The fabulous four/force of fashion gals! The rain didn't dampen our spirits! We couldn't stop laughing even though we were supposed to be serious. I am a Sith Lord! BOOM! 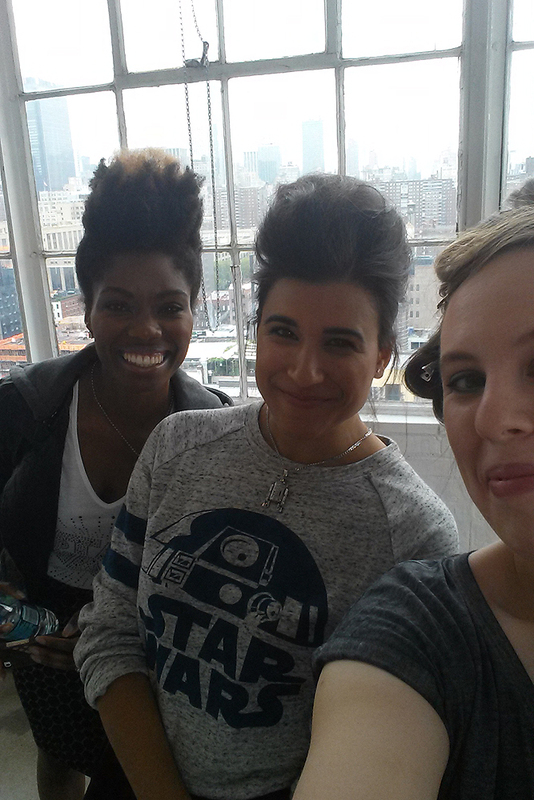 Makeup touch-up before the group shot! Love the behind the scenes shots! :) Thank you for sharing! This looks like such a cool experience! I absolutely LOVE the way they did your hair! All of you look beautiful! Seriously, so fun! I love all of the behind the scenes! What a great experience. Omg, how fun?! You look so good! This looks so awesomely fun - I'm so jealous! What a great time was clearly enjoyed by all - with cupcakes to match. What could be better? Especially like the laughing shots - they are lovely and spontaneous. 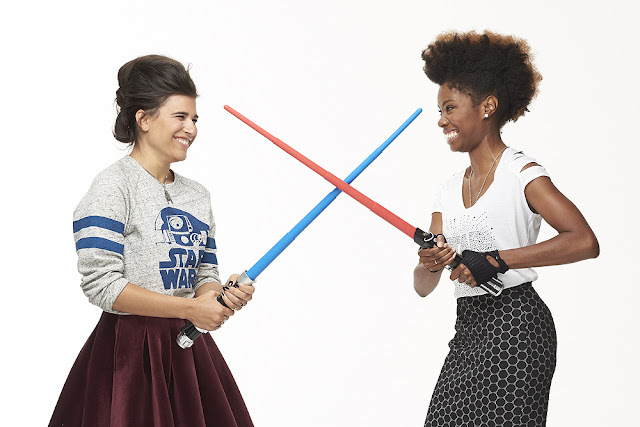 That is so cool, love the Star Wars outfits! & those cupcakes!! 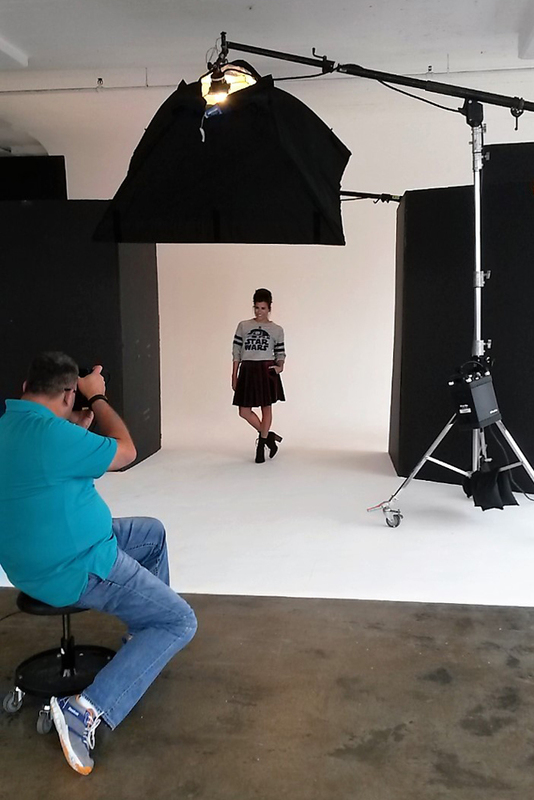 Looks like you had such a fun day, and what a cool photo shoot for you! Could not have been more perfect. Love your crazy teased hair. Seriously, what a fun day! You four were treated like stars -- and looked like true models! What a great experience ! you looked stunning. How fun is this?!?! I love star wars!! Adorable!